Sole Proprietorship – The most common, easiest and least costly to form, but the owner is exposed to unlimited liability for all debts, claims, etc. Often others in the business community don’t think this form looks really “business-like”. General Partnership – Generally not recommended for most small businesses that are not real-estate related. Limited Partnership – Generally not recommended for most small businesses that are not real estate related. Limited Liability Company – Personal liability is generally limited. Looks more “business-like” to the public. Most often recommended by attorneys for small businesses. Higher initial organization costs than sole proprietorship. Requires a LLC Operating Agreement. S-Corporation – Personal liability is generally limited. Looks “business-like” to the public. No federal taxation to the S-Corp.; shareholders report the profits or loss of the business on their own federal income tax return and pay federal taxes for the business at their personal tax rate according to their percent of ownership. Higher initial organization costs than sole proprietorship. Requires Articles of Incorporation and By-Law documents. Requires more administrative paperwork than LLC, such as annual meetings, corporate meetings and Minute Book, etc. Some small business owners have problems maintaining this legal status because of failure to maintain required corporate documents, procedures, paperwork, etc. May require more legal and accounting expenses than other forms of business ownership.C-Corporation: Personal liability is generally limited and individual shareholders are not liable for the taxes of the corporation at the personal level. Looks “business-like” to the public. Higher initial organization costs than sole proprietorship. Requires Articles of Incorporation and By-Law documents to be prepared. Requires more administrative paperwork than LLC, such as annual meetings, corporate meetings and Minutes, etc. Different federal taxation rates and issues than for S-Corp. structure. Usually requires more legal and accounting expenses than other forms of business ownership. Individuals should consult legal and tax advisors prior to making final decisions concerning the legal structure for their new business. The Employer Identification Numbers (“EIN”) for businesses, also known as Federal Employer Identification Numbers, are used to identify a particular business on reports to the U.S. government for payroll withholding taxes and federal tax returns, as well as to the state, to financial institutions and to vendors. Sole proprietorship businesses often use the owner’s social security number as the Employer Identification Numbers (“EIN”). However, a sole proprietor business may choose the alternative of applying for a Federal EIN. All other business types need an EIN other than the owner’s personal social security number. To apply for an EIN, download the SS-4 application from the IRS, fill it out and fax it back to the IRS. Financial institutions, other governmental agencies, and some vendors and suppliers will ask for a business EIN when you open an account. Requesting an EIN will not necessarily trigger an IRS audit or place scrutiny on a business. Once you are issued an EIN, the IRS will send materials for remitting both federal payroll withholding taxes and business income taxes. What do I need to know about payroll and other business taxes? Payroll taxes are the state and federal taxes that a business owner is required to withhold and/or pay on behalf of the employees. The employer is required to withhold federal income taxes as well as social security and Medicare taxes from each employee’s wages. The business is also required to pay a matching amount of social security and medicare taxes for each employee. In addition, the business must pay state and federal unemployment tax and state workers’ compensation industrial insurance for each employee. Each business in Washington state with annual gross sales revenues exceeding $12,000 is required to report sales and pay the applicable Business & Occupation taxes, along with any applicable state sales tax. Most Washington counties require a Personal Property Tax affidavit to be filed for each business after the first of the year. This report lists all the business’s personal property located the particular county. This report serves as the basis for county auditors or assessors to assess personal property taxes that are due to the county from each business in the following year. Businesses and individuals who own real estate are also subject to real estate property tax. This tax is separate from the personal property tax assessment. Do I have to pay business income taxes? In general, the state of Washington does not have a business income tax or require the filing of a business income tax return. Each business must file a federal income tax return to the IRS. The type of reporting form and taxes due depend on the legal structure of the business. You are encouraged to seek professional accounting and tax advice in order to identify and understand the unique federal income tax reporting and payment requirements for your specific situation. Washington Business Hub The Access Washington site contains just about everything you need to know about doing business in the state. The Small Business Guide from the Governor’s Office for Regulatory Innovation and Assistance includes sections that will help you plan, run, grow, or close a business in Washington State and is available in English, Spanish, Korean, Vietnamese and Chinese. Washington State Department of Revenue Learn about business taxes and find out if a business name you are considering is already taken. Regulatory Roadmaps from the Department of Commerce for Restaurants, Manufacturing and coming soon for Contractors. The ELC teams law and business students with pro bono attorneys and business advisors. Together they provide critical early stage legal and business counseling to technology entrepreneurs, small business owners, social entrepreneurs and nonprofits. 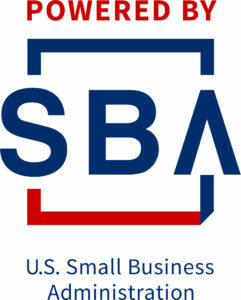 IRS Small Business & Self Employed Tax Center This section offers a broad range of resources across federal and state agencies, as well as industry/profession specific information for self-employed entrepreneurs, employers and businesses. IRS e-News for Small Business subscription will send updates regarding important tax dates, what’s new for small business, reminders and tips.